I have been gifted with a skill for divination, and in return for this I feel strongly called to maximise its usefulness to others. Somewhere along the line, I learned that my own life experience could be represented symbolically through art and archetypes. My own fascination with the way symbols could translate experiences that may not easily be adequately represented through words lead to historical study of these methodologies, and study of the human journey to fullness. In the same way that this has been useful to my own life journey and growth, I want to fully share this skill with others for their benefit. I strongly feel that my livelihood can be earned through utilisation of my skills, talent and academic path through the tarot and other forms of divination. Your work with me is private. That you have consulted with me is private. All professional interaction or enquiry through Tarot@Dunedin is strictly confidential. I collect no information from consumers, such as survey information, purchases, or consumer demographic. If you supply me with your postal address or email address on-line you will only receive the information for which you provided your address. I do not give your information to third parties. I will never send out spam. Persons who supply their telephone numbers online will only receive telephone contact from me with information regarding orders they have placed online. I never solicit for your business. I do not partner with or have special relationships with any adserver companies. Tarot@Dunedin do not set any cookies. 1. I will not perform a reading for anyone under the age of 13 unless their parent is present at the time of the reading. Under no circumstances will I perform a distance reading (e.g. via email or instant message) for anyone under the age of 13. 2. I do not use Tarot cards as a fortune telling device. Instead, I use them as a tool to help my clients understand their lives and gain insight into the situation in question. 3. I will interpret the reading to be best of my ability, and admit freely when I am unable to do so. I will tell the truth of what I see, and will respect the wishes of a client who does not want to hear everything I have to say. 4. I will answer questions about the reading to the best of my ability. 5. I will never refer my clients to another professional Tarot reader or spiritual healer in anticipation of acquiring kickbacks or other compensation. If a client asks for a referral, I will do my best to help. 6. I will always strive to better my skills so that I may serve my clients to the best of my ability. 7. I will strive to remind my clients that they are ultimately the only ones responsible for what happens in their life, and that they should act according to their own conscience. The Tarot is not meant to dictate how one lives one’s life. As a matter of policy, I reserve the right to refuse service for any reason. No order is deemed accepted by Tarot@Dunedin until payment has been processed. Policy on lateness and cancellation: Please let me know 24-hours in advance of any cancellation or reschedule. As I will not be able to fill your appointment time within that timeframe you will forfeit your appointment fee if you fail to give appropriate notice. If you fail to keep your appointment without notice, you will not get another. Please check your confirmation email carefully. All care is taken at this end, but it is your responsibility to ensure that you have ordered correctly. Disclaimer: This site is for entertainment purposes only. Your interaction with Tarot@Dunedin acknowledges that my services do not replace those of licensed health, legal, or business professionals. Tarot provides insight and life coaching – not therapy. Outcomes are subject to your input. Information in = information out. Your participation in your reading is the fulcrum. Your action on the outcome is your responsibility. 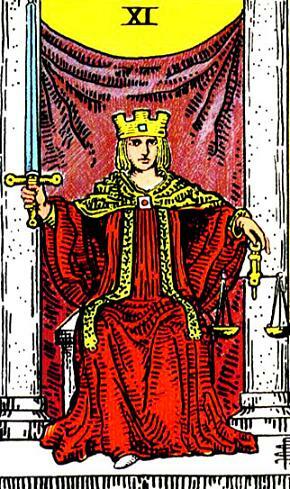 Tarot@Dunedin makes every effort to ensure all services and posts are accurate, but cannot be held responsible for content from third party sources.